Having completed the costs and revenues sample assessment 2 on the AAT website, I am going back through and checking my answers against the model answers provided. There is a mistake on their answer sheet (I think) for Task 3. For the calculations, I had a) £9900, b) £3744, c) £2088 and d) £15732. The answer sheet says different but I think there is a mistake which lies in either their answer b) or d). Did anyone else spot it and do you know which answer is incorrect? Your answer b) is incorrect. The question ask for the labour cost PREMIUM of time and a half. 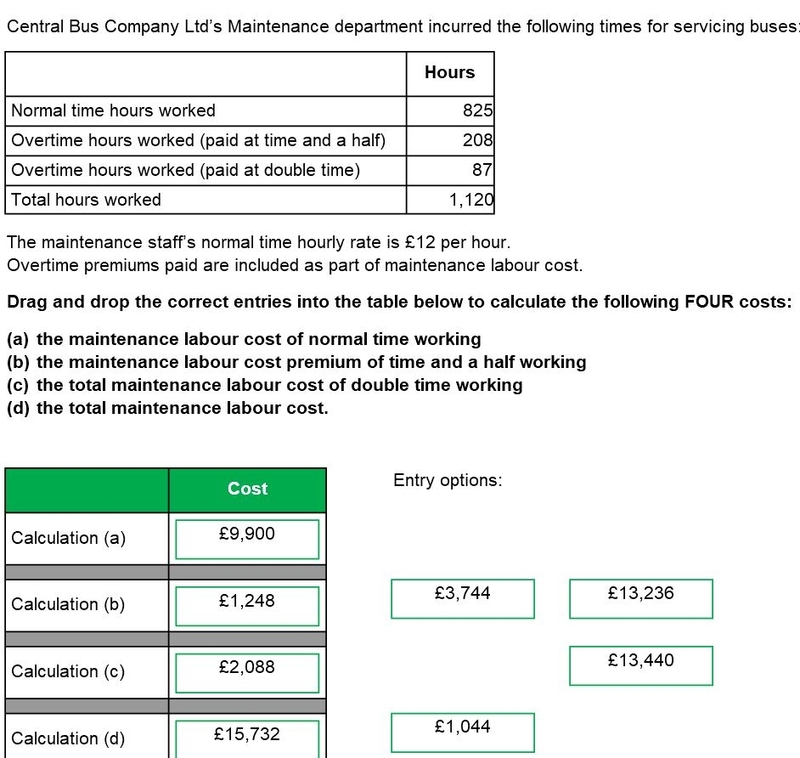 This differs from c) where it asked for TOTAL labour cost of double time working. The overtime premium is only concerned with the "half" in the time and a half (not £18 which is the total), only the £6. d) ask for TOTAL labour cost so your answer is correct. Thanks for posting. I was reasonably sure I had it right, but I have fallen foul on some of these questions before where I find it tricky to make the distinction between regular hours and premium hours. What I mean is that sometimes the question is worded poorly/ambiguously and you end up getting an incorrect answer. Any way, thanks again.